Black Torch Vol. 1 Review – AiPT! A new shonen action series makes its debut. 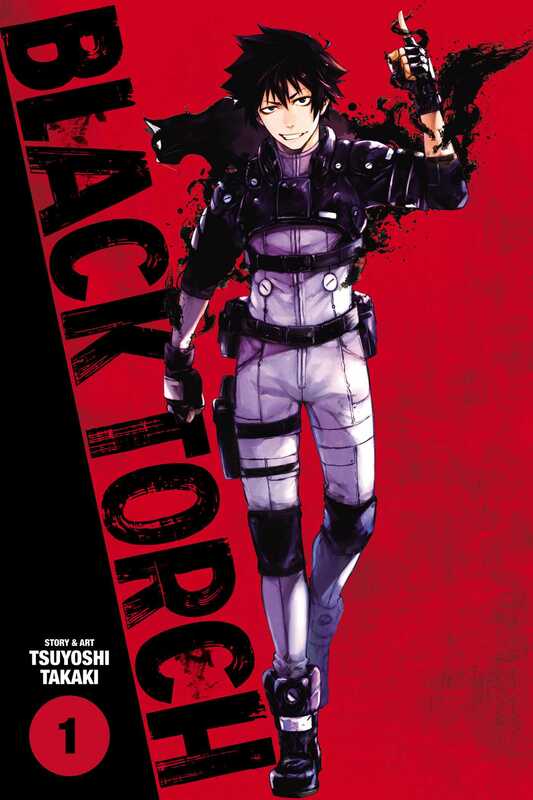 Originally published in Japan’s anthology series Jump SQ, Black Torch is making its American debut this week. The Jump brand is, of course, well-known for its action-packed shonen series, and Black Torch definitely fits that description. The series is written and illustrated by Tsuyoshi Takaki, and its debut volume collects chapters 1-3. Black Torch stars Jiro Azuma, a young descenent of ninjas, who merges with a cat Mononoke named Rago. Their partnership is a tense one, and they quickly find themselves in the middle of an age-old conflict between humans and Mononoke. Does this debut volume introduce the series’s characters and concepts effectively? Action series can be made or broken by the quality of their fight scenes, and thankfully Black Torch’s are well-done. Takaki delivers his most striking artwork when he’s depicting violence. The flow of motion across panels is fantastic, and the characters move and use their powers in unexpected ways. Jiro and Rago’s combined abilities manifest as opaque smoke that shifts in size and shape; sometimes it even takes the form of fists or other objects. The fluid nature of the characters’ powers helps keep matters interesting, as it provides Takaki with the opportunity to inject a variety of different visuals into the action. This series’s characters are also solid. Jiro is fairly genre-typical in terms of backstory and demeanor, but he’s likeable enough that his more cliche personality traits aren’t grating. He’s stubborn but kindhearted, and easy to root for even if he’s not a particularly deep character thus far. The more interesting half of the lead pair is definitely Rago, whose hateful personality contrasts with adorable feline appearance. Jiro and Rago make some other reluctant allies in this volume, the most notable of whom is Ichika Kishimojin. Ichika has worked hard to overcome the societal limitations placed upon her because of her gender, and she has the potential to be an intriguing badass going forward. If she doesn’t receive adequate development over time then she could end up as a generic tsundere, but Takaki’s strong work so far makes it seem unlikely that that will be the case. As far as its story goes, Black Torch is solid but nothing out of the ordinary. There are ninjas, evil spirits, and plenty of other shonen manga staples. Takaki’s writing is solid enough that none of these elements feel dull, but he doesn’t deliver a unique enough take on any of them to make them particularly memorable. The pacing is also quite fast, and although events aren’t rushed to the point of being incomprehensible, they do lack a bit of punch. For example, one of the most major plot points in the volume is a dramatic showdown between Jiro and his grandfather. The characters receive very little page-time together prior to the fight, so it’s difficult to get a grasp on their relationship or why their dynamics have changed. This portion of the story isn’t outright bad, but it definitely lacks the emotional depth that more thorough build-up could have provided. Overall, Black Torch Vol. 1 makes a good first impression for the series. The artwork throughout is dynamic, has a great sense of motion, and renders the Mononoke’s powers in cool ways. The plot and main characters also show promise, even if they haven’t been fleshed out yet. This isn’t a debut volume that leaves me dying for more, but it does at least make me curious to see how the series plays out from here. A solid first volume with fairly generic characters and concepts that are uplifted by impressive and dynamic artwork.